Here is something that I’ve been thinking about doing for a while and since my head is mushy and I can’t focus on other writing, this will occupy my mind. 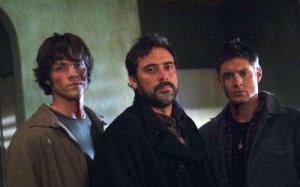 I’ve made no secret of the fact that I love the TV show Supernatural, love it, love it, love it. Ok, not so much over the past couple of seasons but I love those boys. My latest endeavor to procrastinate on editing The Novel, is to review my favourite Supernatural episodes from each season. Let us begin at the beginning (where else) with Season 1. 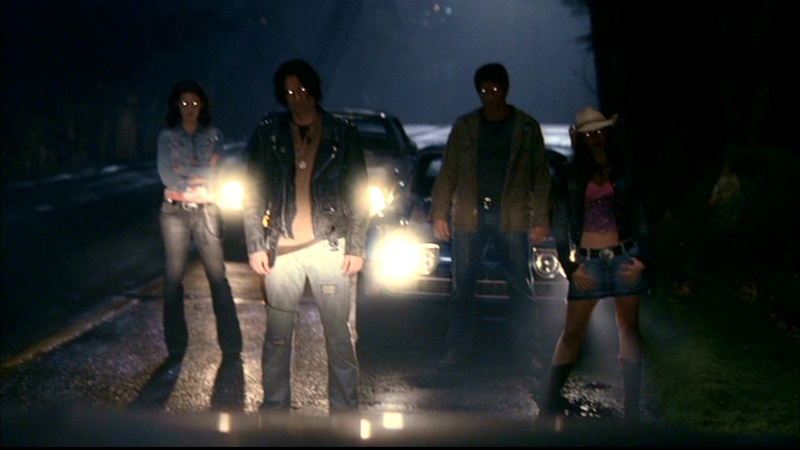 Season 1 of Supernatural debuted way back in 2005, a simpler time…whatever. The boys were so young but they still had their swagger and quippy one liners “No chick flick moments” and the greatest hits of mullet rock “Driver picks the music, shotgun shuts his cakehole.” Here are my picks for the best of Season 1. Pilot (S1, E1): How can you not love the introduction of Sam & Dean Winchester and all the monsters and demons that come along with their damaged lives. We begin the saga with the a happy Winchester family 22 years before current events and watch as that happy family is shattered and torn apart by the bizarre and brutal death of mother Mary, at the hands of an unknown man. Flash forward and the boys are grown and daddy John is missing, bringing the estranged brothers back together to find him. The search is a bust and Sam returns to his normal life and his girlfriend Jessica only to have her taken from him the same way as his mother. 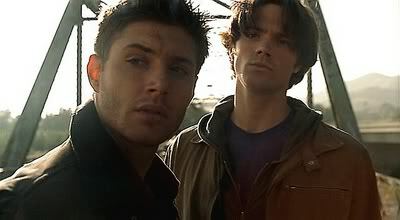 The tragedy propels Sam to leave college life behind and go on the road with Dean in search of their father and the demon stalking their family. Shadow (S1, E16): While in Chicago, Sam meets up with Meg, the young woman he met in Scarecrow, and begins to wonder who she really is and how much of coincidence it is that she is there. They soon find out the truth when Sam & Dean follow her and are attacked by Daevas – basically shadow demons she has conjured. They escape and John is waiting for them but the trio are attacked again and must part ways for the safety of John, further angering Sam and increasing the tension between him and John. Why it’s good: The boys find out the truth about Meg and they finally but briefly are reunited with John. 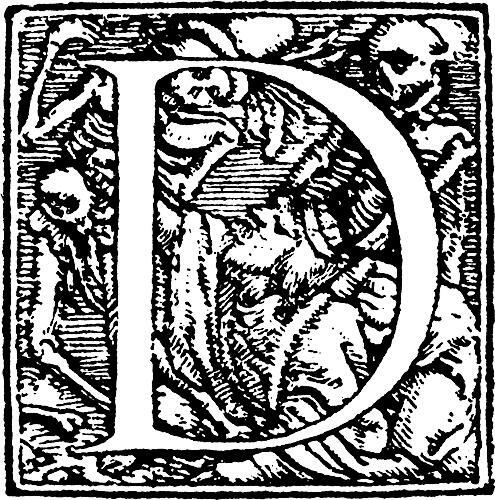 The Daevas were a cool monster as well. Dead Man’s Blood (S1, E20): Finally, vampires! How can you have a show about monsters without including the bestest one of all (before the shame of that which will not be named). The vampires in the Supernatural verse can tolerate day light but it does hurt, they drink blood and beer and they don’t have fangs like the vampires of old but rather a mouth full of razor-sharp teeth. This episode also introduces the Colt, the uber weapon that can kill any supernatural creature including demons, hence the reason John returns and pursues the vamps who have taken it. The reunion of the Winchesters goes about as expected as Sam continues to push against his father, demanding answers, and Dean finally joins in. 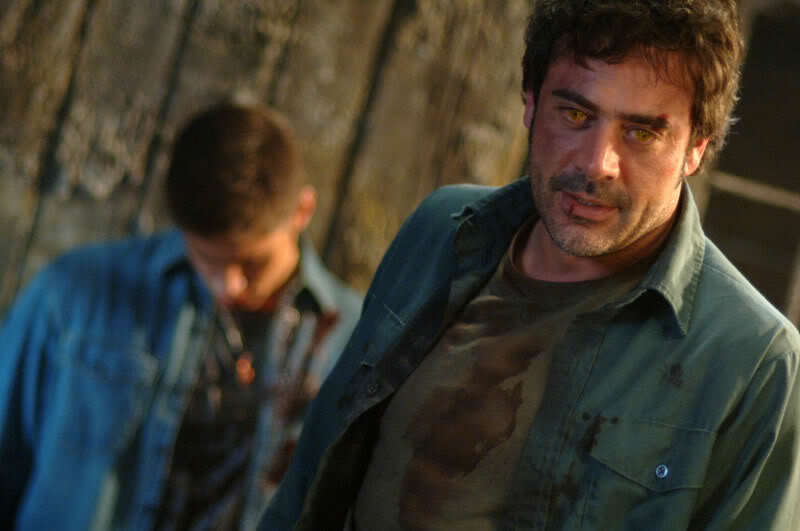 The Winchester men are now reunited and have the Colt and continue to pursue the Yellow Eyed Demon. Why it’s good: Ah, vampires. Plus John is back and we get a little supernatural history with the tale of the Colt pistol. Salvation (S1, E21): On the road to find the Demon, John receives a disturbing call saying that one of his oldest friends and fellow hunter, Pastor Jim has been killed by a demon. Dean, Sam and John head to the town of Salvation and get another call from another hunter, Caleb but he is in the clutches of Meg and she is going to kill him and all of John’s buddies, if he doesn’t hand over the Colt. Meanwhile, Sam and Dean are on the tail of the demon as they figure out where he is going to strike next to poison another infant with his blood. They save the family but the demon gets away and things go from bad to worse as John is kidnapped by Meg and her demon brother. 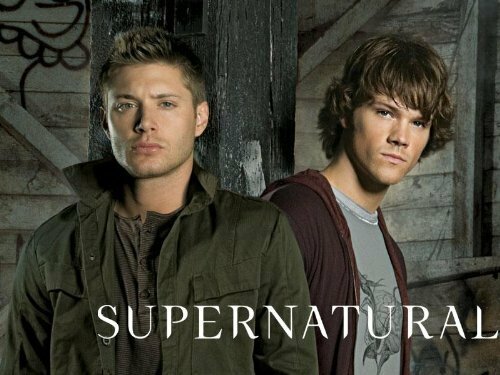 Why it’s good: This episode continues to move forward the Supernatural mythology and the interactions between the Winchester men. 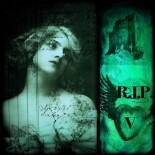 Devil’s Trap (S1, E22): Season 1 finale. John is still in the hands of Meg and Dean & Sam need help. Enter Bobby Singer (Jim Beaver), the rough around the edges seasoned hunter who also served as a surrogate father to the boys over the years. He teaches them how to make a devil’s trap and they are able to capture and contain Meg. They find out that she is a human that is being possessed by a demon and that any damage done to her body will eventually be felt when the demon leaves her. This happens as they exorcise the creature and Meg, the girl, dies after telling the boys where to find John. They manage to rescue their Dad but soon discover that old Yellow Eyes is possessing him. Facing off against the possessed John, Sam must decide between shooting and killing his father (using the Colt) to kill the demon or wounding him to expel Yellow Eyes. Sam saves John but will have to face his father’s anger. As the trio escape down a lonely road they are side swiped by a truck driven by a demon and the end shows the 3 of them unconscious and bleeding in the night. Why it’s good: The introduction of Bobby makes this a great episode even though he is only in it briefly and the final scene is dramatic and sad. Good writing. Honourable Mention: Faith-Dean’s near death experience & John not coming to help; Scarecrow–Sam & Dean part ways and we meet Meg; Hell House-introduces the Ghostfacers; Nightmare-brings in the other kids like Sam, poisoned by Yellow Eyes with his blood. I avoided this show for so long. I finally ended up downloading the first 7 seasons and watching them in a whirlwind marathon and then buying the DVD’s so my wife and I could watch them together. I haven’t watched, nor do I know anything at all, about Season 8. My DVR screwed up and some of the episodes didn’t record. So I’m just going to wait and buy the season to add to my collection. I freaking love this show! Just as Misha is great as Castiel, so is Sheppard as Crowley. My wife also says she gets the impression that Jared Padalecki is a genuinely nice guy. He certainly seems to be, Jared P. I really like the addition of Crowley as well. The homour and malevolence that he brings to the show are brilliant. What did you think of Mark Pellegrino as Lucifer? Personally I think did a fantastic job. Oh, absolutely great. That is one thing about the show, the casting is impeccable. Nearly everyone is totally suited for their role and the acting is top notch. Jim Beaver will always be Bobby to me. 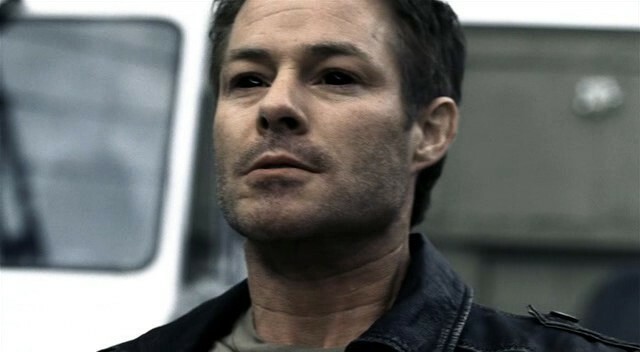 This entry was posted on May 22, 2013 by Denise in Reviews, Supernatural, T.V. Reviews and tagged Bobby Singer, Dean Winchester, jeffrey dean morgan, Sam Winchester, Supernatural.